Turn your college dorm room into your second home with DormCo's selection of Yak About It® products. 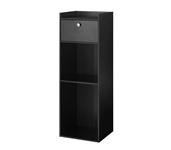 Here you will find wooden shelves, organizers, and lockable storage in various designs and colors to expand your storage options and to keep your dorm supplies organized and protected. Each product is compact, easy to assemble, and durably designed to suit your hectic college lifestyle. Not to mention, this convenient line of products completes your room's décor for a sleek and modern finish. 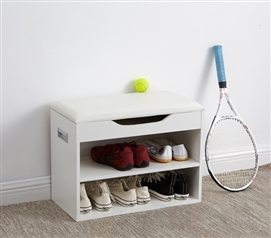 With these organizers, you'll see your dorm room grow more spacious before your very eyes.